The moments after a bride slips into her dress on her wedding day are really special. Los Angeles wedding photographers, Embrace Life Photography, typically spend some time, as they did at this InterContinental Century City wedding, photographing the bride in her bridal suite. 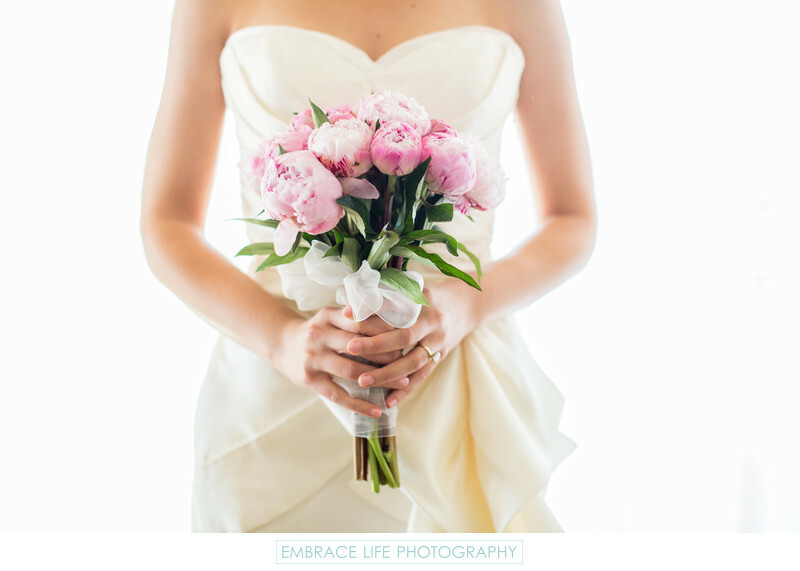 Besides portraits, the details, like this pink peony bouquet with white ribbon, are also documented in the beautiful, natural, window light.